Released in November 2018, this new and colorful fountain pen reflects the beautiful color transition as seen in autumn. The shiny gold rings and the 14 carat gold nib which is partly covered with rhodium harmonizes and further enhances its warm color shades. The bright acrylic material had to undergo several production steps to more accurately capture and re-create the range of bright foliage colors. 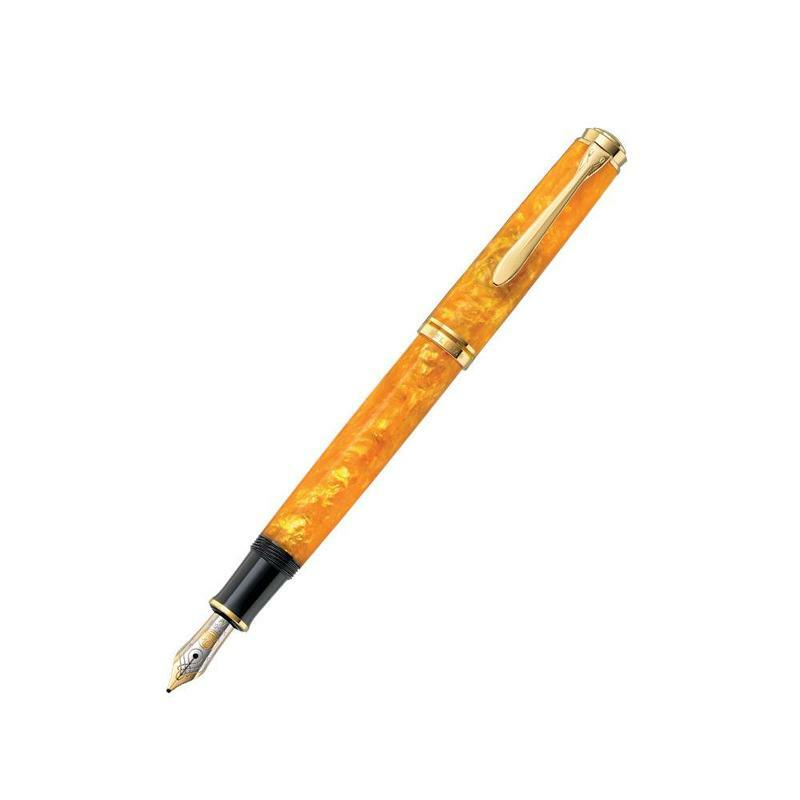 The interesting color nuances from light-transparent to intense orange is the very essence of this writing instrument making it nearly gleam. All fountain pens feature the patented differential piston system and are offered in Extra Fine, Fine, Medium and Broad.